A trip to San José provides student groups the chance to indulge in the city’s best authentic dishes, while simultaneously offering an array of ethnic foods from around the world. If you’ve never been to San José and are wondering what exactly Costa Rican cuisine entails, rudimentary research will show that the country has a handful of celebrated dishes that can be found practically anywhere. Tico cuisine is known for being quite mild, with the incorporation of fresh fruits and vegetables. It wouldn’t be a trip to San José without tasting some of Costa Rica’s most popular dishes, such as fried plantains, flan, arroz con leche (milk rice) and, of course, gallo pinto, a rice and black bean dish served for breakfast that usually incorporates various spices, peppers, cilantro and onion. Costa Rican cuisine prides itself on being eclectic yet simple, and there’s surely a little something for all taste buds. Doris Metropolitan began its culinary journey in Israel in 2003, dedicated to serving the highest quality meats. 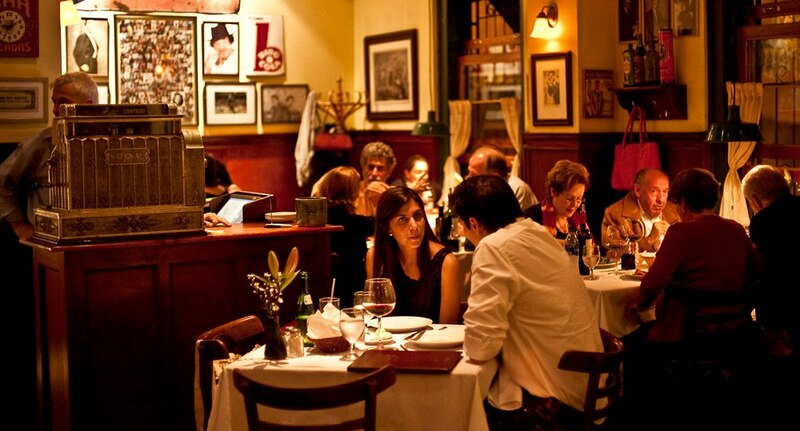 The restaurant soon became one of the most popular in Israel and by 2008, three more locations opened throughout the country. In 2010, Doris Metropolitan had the urge to expand worldwide due to a growing demand for high quality meats, thus opening its doors in San José Province in March of that same year. The steakhouse guarantees visitors a unique gastronomical experience in a prime location equidistant between San José’s city center and Juan Santamaria International Airport (SJO). The restaurant has since grown with locations in both New Orleans and Houston. Other than high quality meats, Doris features an assorted menu of exotic dishes with specialties such as berenjena a la parrilla, a grilled eggplant dish with tahini, tomato concasse, almonds and parsley and tartar de atún, a tuna tartar dish served in a beautiful, towering cylinder shape with red onion, avocado, chives, ginger vinaigrette, radish, tobiko and sesame seeds. Doris Metropolitan is open for dinner daily from 5:30 p.m. to 10:30 p.m., and for lunch Friday to Sunday from noon to 2:30 p.m. The steakhouse offers the option for large student groups to privately reserve its facilities. To contact the restaurant for reservations, click here. Situated in the heart of San José’s up and coming Barrio Escalante, Saúl Bistro Escalante emits quality products in a contemporary atmosphere, combining aspects of avant-garde Europe with Latin identity. Renowned Argentinian chef Sebastian La Rocca created the restaurant’s new revolutionary menu with the objective to incorporate Costa Rican comfort food, all while adding an innovative flare. Tico favorites at Saúl Bistro include tuna ceviche, elote cream soup, roasted pork loin and various popular tostadas. Ideal for large student groups, the restaurant offers three different lounges available for rent, including the 40-seat La Pérgola room and the 30-seat Salón Redondo. Each room is available Monday to Friday from 7:00 a.m. to 10:00 p.m. Weekend rental is available upon request by contacting the restaurant directly. Offering delicious, healthy Asian cuisine from an original colonial mansion smack dab in the center of San José, Tin Jo began in 1972 as a Chinese restaurant and now offers an assortment of Thai, Japanese, Indonesian, Indian and Vietnamese dishes. An ideal option for student groups with certain dietary restrictions, Tin Jo has its own vegetarian and gluten-free menus. 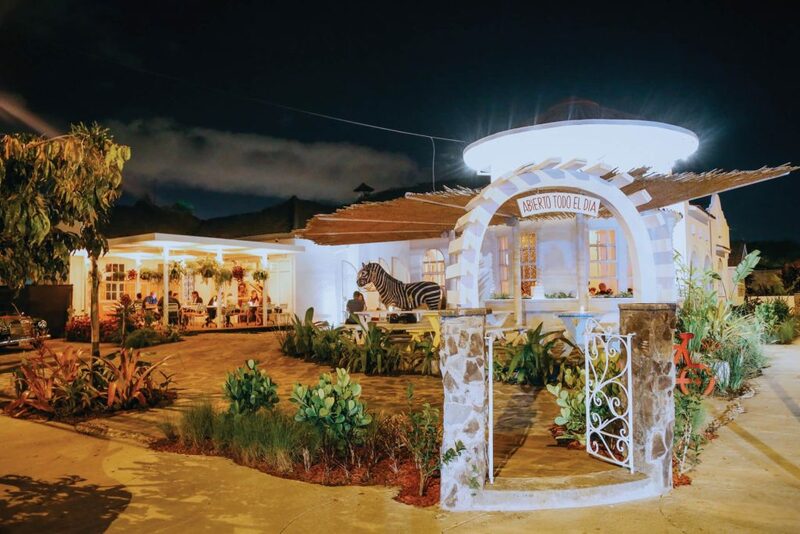 Though it may be difficult finding a restaurant in San José large enough to serve student groups with 40 to 50 people, Tin Jo has seven different themed rooms available for private reservations. The restaurant’s Nandini Lounge features a relaxed atmosphere seating up to 40 guests; the Bamboo Room is ideal for larger groups seating up to 80 guests with stunning Asian-inspired decorations spread throughout the living room balcony. This authentic, exotic restaurant will even create special menus for private occasions. Some of Tin Jo’s specialties include tom kha gai, a Thai-inspired coconut milk soup with chicken, mushrooms, tomatoes, ginger, bean sprouts, fish sauce and chili and palak paneer, a vegetarian Indian dish made from spinach with deep-fried cheese or tofu in a garlic, ginger and cumin sauce. 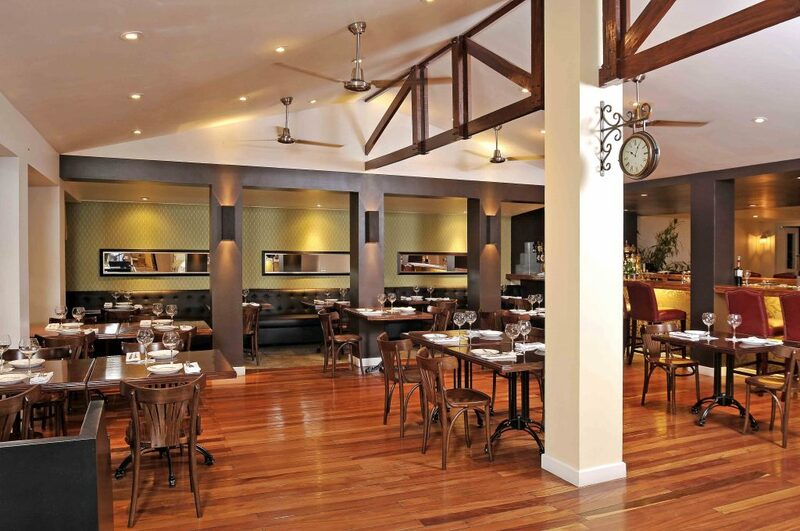 To contact the restaurant or make a reservation, check out Tin Jo’s easily navigable website. Featuring French Mediterranean and tropical Costa Rican influenced cuisine, Grano de Oro prioritizes the selection of sustainable local fresh ingredients. 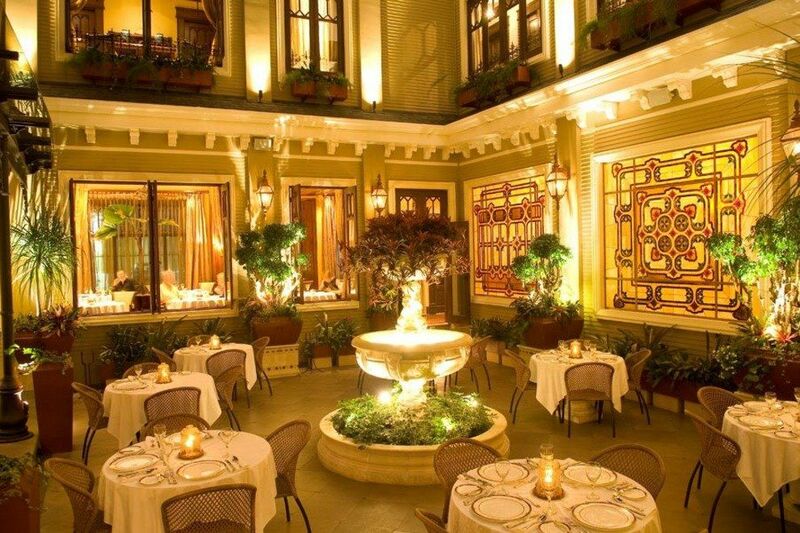 A popular spot for locals and tourists alike, the restaurant has a unique, charming ambiance situated in a luxurious period home with a luxurious inner courtyard. Under the expertise of French chef Francis Canal, Grano de Oro serves breakfast, lunch and dinner with specialties such as salmón niçoise, a grilled salmon plate with mustard dill marinade and niçoise salad; boeuf bourguignon, a braised beef shoulder cooked in red wine served with scalloped potatoes and ravioli con verduras, a homemade ravioli dish filled with buffalo mozzarella, ricotta, ratatouille and herb oil. Dedicated to helping the local San José community, the restaurant donates a portion of its profits to support Casa Luz, a home for adolescent mothers and their children coming from situations of abuse and extreme poverty. Student groups have the option of reserving Grano de Oro’s private dining rooms for groups up to 30 guests. The restaurant is open daily for breakfast from 7:00 a.m. to 10:30 a.m., lunch from 11:00 a.m. to 5:00 p.m. and dinner from 5:30 p.m. to 10:00 p.m. Located in downtown San José akin to La Sabana Metropolitan Park, Furca redefines the culinary experience through the farm-to-table concept of serving its guests fresh and locally grown ingredients. A visit to Furca transmits student groups through gardens, textures, smells and tastes of the kitchen, while combining an urban experience with that of the farm and the sea. One of the restaurant’s secret ingredients is the passion and dedication of its hardworking staff, always paying close attention to the detail of the service they provide, while prioritizing guests’ expectations of the restaurant. Furca has a terrace and lounge area available for private events, offering an incomparable atmosphere with personalized service designed exclusively for its visitors. The restaurant is open Monday to Saturday from noon to midnight, and Sundays from noon to 5:30 p.m.